Choosing multivitamin supplements that have been third-party tested for quality and purity standards is a safe choice for healthy supplementation. 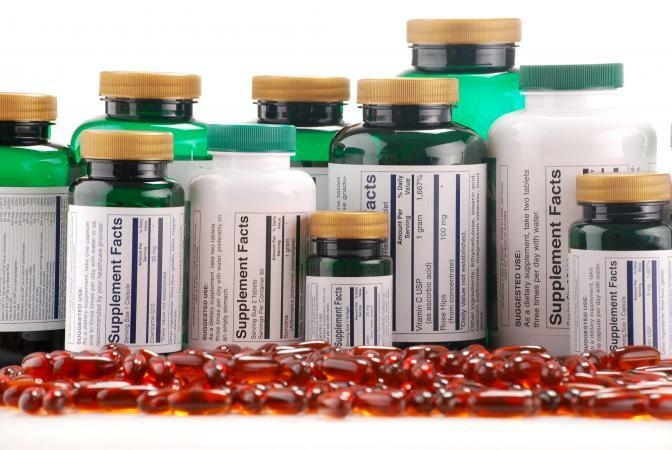 Berkley Wellness suggests looking for multivitamin and other supplement brands that hold Consumer Labs, USP (United States Pharmacopeia), or NSF International seals of approval. Nature Made carries the USP seal of approval for a variety of different supplements, including numerous soft gel and tablet multivitamins for younger men and women, older men and women, and pregnant women. The USP seal means Nature Made's quality has been independently tested and verified by a third party to ensure ingredients listed on the label are accurate and that products don't contain harmful levels of contaminants. The seal also ensures vitamins break down in your body within a specified time, and that supplements were manufactured under sanitary conditions. Many retail and grocery chain stores carry the Nature Made brand, and you can order it online through Amazon.com, where Nature Made products receive excellent customer reviews. However, these multivitamin supplements approved by USP mainly come in tablet form so if you prefer capsules or soft gels, you may be out of luck. As with Nature Made multivitamin supplements, Kirkland brand offers a variety of vitamin, mineral, multivitamin and other health and wellness supplements verified by USP. The two Kirkland multivitamins verified by USP are Daily Multi Tablets (providing you with adult-dosed essential vitamins and minerals), and Adult 50 + Mature Multi Tablets for older adults. Kirkland products can be purchased at Costco stores and online for a reasonable price. Not being readily available in many supermarket chains may be a con for some people. Theralogix products include multivitamin supplements that hold the NSF International seal of approval, which means products are third-party tested for quality and purity standards. Brands that have been approved by NSF include Companion Multivitamin, Essential Women's Multivitamin, Solo Multivitamin, and TheraNatal Core (pre-conception vitamins for women trying to get pregnant). Order Theralogix online or call a toll-free number (800-449-4447). A potential drawback is Theralogix supplements aren't sold in stores and must be purchased online or by calling. Nutrilite offers multivitamin supplements approved by NSF International for quality and purity. This brand is sold online by Amway. Nutrilite multivitamin products on the NSF approved list include Nutrilite Men's Pack, Kids Multitarts, and Nutrilite Daily. The men's pack contains 24 essential vitamins and minerals and omega-3 fatty acids for brain and eye health, and the kids multi-tarts are designed to meet kids' specific nutritional needs. Nutrilite Daily is a basic multivitamin supplement containing 24 essential vitamins and minerals for adults. A drawback is these supplements are pricey, and aren't available in most stores. 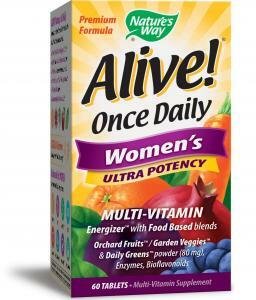 Meeting Consumer Labs quality and purity standards, Nature's Way Alive Once Daily Women's ultra potency multivitamin and whole-food energizer is another good pick. This supplement is optimally balanced to meet specific needs of women, providing 24 vitamins and minerals, 12 digestive enzymes, and 14 green foods. You'll find this Nature's Way product online, at grocery store chains, or in vitamin stores. A potential con is these vitamins are specifically designed for women so if you're a man, you'll likely be getting too much or too little of certain essential nutrients. Looking for a Consumer Labs approved product that's kid-friendly and has received high Amazon.com reviews as a top-rated pick? Look no further than Nature's Plus Animal Parade Gold. This chewable multivitamin product is specifically designed to meet kids' daily nutrient needs, is formed into fun animal shapes, and even contains probiotics! Find this multivitamin brand in vitamin stores, grocery store chains or online. A potential drawback of this pick is it contains low levels of calcium, folate, magnesium and potassium, but children who eat well-balanced diets are likely get plenty of these essential nutrients. A variety of multivitamin supplement products contain seals of approvals or certifications for high quality and purity, but the right choice for you depends on your individualized vitamin and mineral needs and your budget. Look for something that meets your recommended dietary allowances (RDAs) and always chat with your doctor to make sure it's the right fit for you.